Property Studies | Engineering and Technical Consultants, Inc. 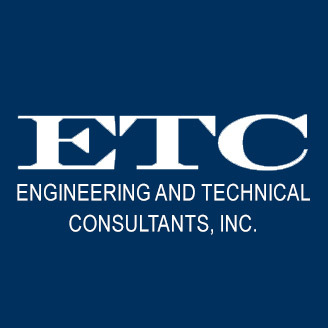 ETC provides a wide range of property studies that can be applied at various stages of a property’s life, from construction through operation. Our competence extends to buildings of all types, site features (i.e. retaining walls, pavement, sidewalks, recreational facilities, etc.) as well as parking garages and other specialized construction. Repair / Replacement Reserve / Condition Studies serve as important financial planning tools and/or as a means for assessing priorities. ETC staff members review and evaluate major physical and mechanical plant components to determine their condition and estimate their remaining useful life and replacement costs. Pre-Purchase / Pre-Mortage Inspections are required by prospective purchasers/lenders and we have developed inspection regimens to meet these needs. Applicable to an entire building or specific elements, our services are designed to identify potential problems, estimated repair or pre-placement costs, anticipated life of major components, prudent reserve requirements, and the potential for reducing operation costs through energy conservation and effective maintenance management. Transition and warranty surveys are conducted to assess the condition of projects or specified components that may be covered by statutory warranty or other performance obligations imposed on sellers or developers. Our objective is to identify conditions needing correction, repairs that will likely be needed in the future, maintenance requirements, and appropriate remedial considerations. Risk assessment studies can be applied to an entire property or portion thereof. Their purpose is to identify conditions which, left unattended, could lead to loss or injury, liability exposure, insurance difficulties, negative publicity, and other problems.